Detailed listing of our alignment tools and tweakers. 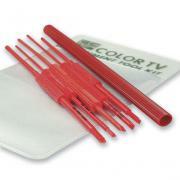 Five different alignment tools for all standard adjustments on color TV sets. All tools are made of Derlin. Kit includes "Extend-It" Shaft Extension, Zenith Alignment Tool, Hex Iron Core Tool, Hex Core Tool, Hex Wrench 5" and Double End Tool all packaged in a handy pocket-saver pouch. 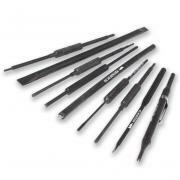 Eight of the finest made, precision tools, serving a multitude of purposes. Kit contains Duplex Non-Metal Screwdriver, K-Tran Tool, Core Aligner, Duplex Aligner, Zenith Aligner Tool, Hex Iron Core Tool, Transistor Tool and a Double End Tool in a handy plastic pocket storage pouch. Wide range of tip styles and sizes assures you will have the right tool for adjusting and aligning any conventional component. Kit contains Adjustment Screwdriver, Combination Aligner, Steel Tip Duplex Aligner, Small Hex & Screwdriver, Hex & Tip Tool, Mini Potentiometer & Trimmer Tool, Double Ended Hex Tool, 3-in-1 Hex Core Tool and Square & Hex Tool in a handy plastic pocket storage pouch. 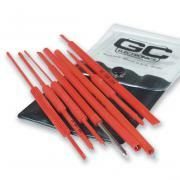 Two .085" wide steel tips (one is recessed) are ideal for potentiometer adjustment. 5" in length. 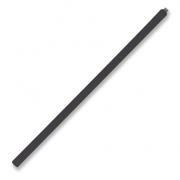 Two 1/8" wide steel tips, one of which is recessed, fits #6 slotted screws. 6" in length. One short, square driver tip (1/16" wide), the other is a short hex tip (0.100" wide). Length is 5" overall. 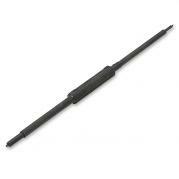 One wide screwdriver tip (1/4" wide), the other is a short screwdriver tip (1/8" wide). Length is 5" overall. Ideal for long reach areas without the danger of shorting. 1/32" thick tips may be re-ground. 1/8" diameter shaft. 7� long shaft and 9 3/8� overall. Ideal for long reach areas without the danger of shorting. 1/32" thick tips may be re-ground. 1/8" diameter shaft. 12� long shaft and 14 3/8� overall.